The English rose cocktail is a delightful variation of the classic gin martini. It's sweeter, using apricot brandy, grenadine, and lemon for flavor, and it makes a fabulous before dinner drink. This recipe is a remarkable change from dry martinis, which are more common with gin than vodka. It offers an array of flavors that are distinct but perfectly complementary to one another and it's in no way one-dimensional. That may be the real fascination with the English rose and why it has long remained a favorite among the lexicon of classic cocktails. In a cocktail shaker with ice cubes, pour the gin, vermouth, brandy, lemon juice, and grenadine. Strain into a chilled cocktail glass. Garnish with the maraschino cherry. A quality gin is going to make a better English rose cocktail. Despite all the extra flavors, pour the same gin as you would any other martini and you'll have a great foundation. For the vermouth, the most important thing to remember is that an open bottle will become stale after a couple of months. You'll notice the flavor begin to diminish, which means it's time to pick up a replacement. Apricot brandy will either be a sweetened liqueur or a true eau-de-vie (unsweetened and distilled from the fruit). The liqueur version is good in this recipe because it acts as a sweetener, though you may find that just a dash of grenadine is needed for balance. Fresh lemon juice is the final key to making a spectacular English rose. You can typically expect to get 1 3/4 ounces out of a single lemon, which is more than enough for a few cocktails. There are a few classic drinks that pair gin and apricot brandy. If you enjoy the English rose, they're definitely worth trying. A very similar recipe to this, the Thanksgiving cocktail keeps everything except the grenadine and changes up the proportions so no single ingredient dominates the drink. The paradise recipe simply mixes the gin-apricot brandy duo with orange juice, creating a really bright, fruity martini. La Habana prefers lime over lemon. To make it, shake 1 ounce each of gin and apricot brandy with the juice of half a lime. It's also served in a chilled cocktail glass, though typically garnished with a lime wedge. How Strong Is an English Rose? Whenever you see a martini that's made primarily of liquor, you should expect it to be pretty strong. 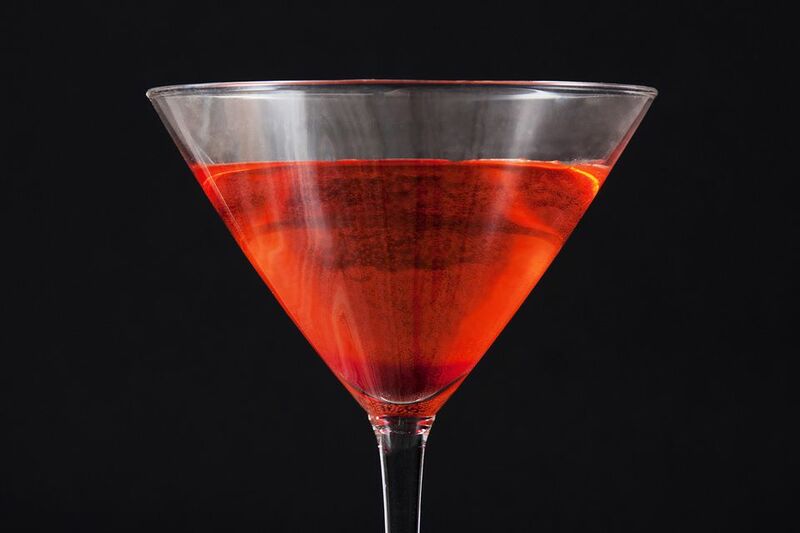 The English rose is no exception, with its alcohol content falling somewhere in the 25 percent ABV (50 proof) range.